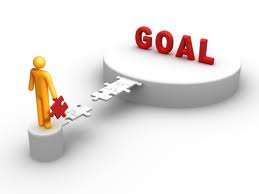 Lately I have been thinking about my goals. My next competition is in 7 months. I have plenty of time but I can’t slack off too much. What can I work on in the fall and winter? What do I want to improve? Mainly, the things I want to improve can be applied to my training and to everyday life. I want to push harder. I want to lift as heavy as I can. I really think there is so much more potential there. Though it is hard to lift real heavy without a partner, sometimes I feel like I can do more. I can do more sets if I don’t want to injure myself. When I leave the gym, I want to leave knowing that I gave it my all. It’s very easy for me to push myself more on leg day but other body parts are a little more difficult. What I am going to do now is evaluate everything….nutrition and training and do a little more reading on both of these topics. So here is my plan for the next few months until I start the contest prep again. So there it is, every morning when I get up and don’t feel like working out, I will remember this list. When times get tough, I will remember this list. When people criticize me, I will remember this list. Stay focused!! I know I always have room for improvement…. The 2012 Olympics are wrapping up this week. It is always exciting to watch the events and listen to the stories of the athletes. Just imagine training for years to have a shot at this one moment. A moment when you are competing against the world and representing your country. People truly underestimate the level of commitment that it takes to get to this level. I think it is hard enough training and eating strict for 3 months to prepare for a show. Imagine doing this for four years!! Mind blowing right? One common theme I noticed in the stories is that each athlete had an obstacle to overcome. It did not just magically happen for any of them. One story that struck a chord with me was Carmelita Jetter’s. I did not realize that she was 32 years old. 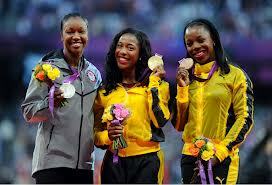 This was her first olympics and she won the silver medal in the 100 meter race. She was so happy and grateful just to be where she was. She is in the best shape of her life at 32! I am basically the same age as her. I will be 32 in October and have conditioned my body and am getting to what I consider to be my peak. Who knows…it can only get better from here! Sometimes we don’t realize what we are capable of until we get older. A lot of women don’t reach their peak in events such as running until their 30s. Don’t ever think it is too late to try something. You never know what you can do at 30, 40, 50 etc….